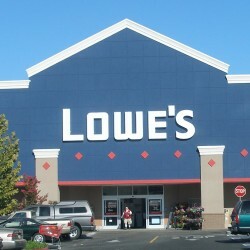 Lowe’s Companies, Inc. (NYSE: LOW) is a FORTUNE® 100 home improvement company serving approximately 16 million customers a week in the United States, Canada and Mexico through its stores and online at lowes.com, lowes.ca and lowes.com.mx. With fiscal year 2014 sales of $56.2 billion, Lowe’s has 1,840 home improvement and hardware stores and more than 265,000 employees. Founded in 1946 and based in Mooresville, N.C., Lowe’s supports the communities it serves through programs that focus on K-12 public education and community improvement projects.